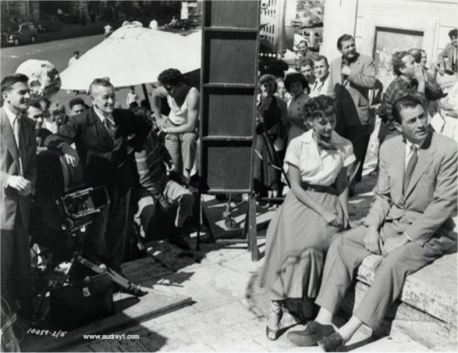 Behind the scenes of Roman Holiday. . Wallpaper and background images in the Audrey Hepburn club tagged: audrey hepburn photos actress 1953 gregory peck roman holiday. This Audrey Hepburn photo might contain street, city scene, urban setting, bandsman, igloo, and iglu.